See the swirling onion domes and stout towers of Moscows Red Square. Share stories at the kitchen table of an Uglich family. Savor Russian caviar with your blini pancakes. Soak up the steam in a traditional banya in riverside Mandrogy village. Envision Peter the Great luxuriating in massive Peterhof Palace, then see how multiple families shared living space at a Soviet-era kommunalka. 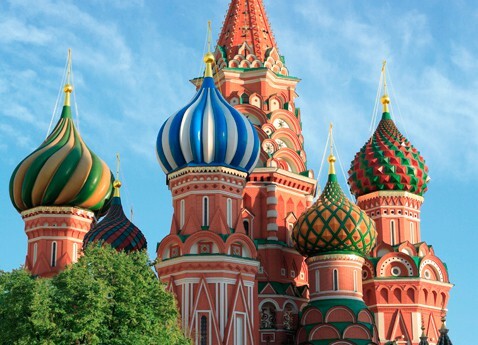 From Moscow to St. Petersburg, this 13-day voyage reveals the real Russia as never before. The crenellated red brick walls of Moscows Kremlin surround many towers, cathedrals and palaces. The immense scale of Moscow, a major cultural and economic metropolis as well as Russias pulsing political center, is breathtaking. Majestic Moscow, one of the worlds greenest cities, decorates even its subway stations lavishly with art and magnificent chandeliers. Kuzinos renowned Kirillo-Belozersky Monastery was founded by Saint Cyril in 1397. Russias second largest city, St. Petersburg has been called Venice of the North for its many islands, canals and bridges. Inspired by Europes cultural capitals, St. Petersburg is Russias most Western city.